The traditional curtain raiser to the English football season is upon us as FA Cup winners Chelsea take on Premier League champions Manchester City in the Community Shield at Wembley. Our football expert is back to preview Sunday afternoon’s match. Chelsea’s new manager Maurizio Sarri will be hoping to get off to the best possible start on Sunday as he takes charge of his first competitive match. He did a great job during his stint at Napoli and the signing of Jorginho looks to be a shrewd piece of business by the Chelsea hierarchy. Sarri joins a club which is in need of a lift after finishing a disappointing fifth in the Premier League last season. The Blues come into this as the 5/2 outsiders. If Sarri wants an easy start to his competitive career at Chelsea, he should think again. They take on a Manchester City side who cruised to a third Premier League trophy masterminded by Pep Guardiola. Many doubted whether Guardiola was truly a world-class coach, but on last season’s evidence, those doubters have been put firmly to bed. His City side are the 11/10 favourites, with the draw a 5/2 chance. Jorginho might turn out to be a fantastic purchase but, for me, Chelsea need more than just one midfielder to sufficiently close the gap on their Premier League rivals. City were streets ahead of their league rivals last season and I think they’ll be far too good for Chelsea here. Don’t forget, Sarri has had just two weeks with his new side, whereas Guardiola has had two years! 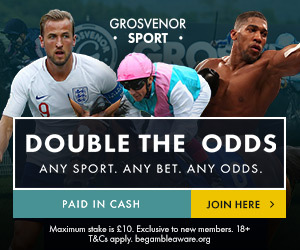 I’ll be backing City to win to nil at 11/4 with Grosvenorsport.com.